SONORA- Artist oil painter- Patrick Michael Karnahan will be exhibiting his latest original artwork, “Firestorm 2018” (The 2018 California Fire fight). 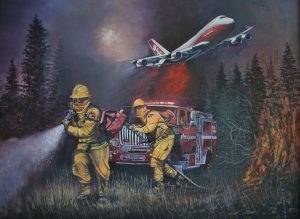 This original oil painting features the heroes of Cal-Fire, with a fire truck and two crew members, and the new Boeing 747 Global Supertanker for fighting the wildfire. The image, that the artist created, will soon to be licensed to the company that owns the largest aircraft ever use in fighting fires. The Sonora artist was contacted by Global Supertanker to seek permission to use his original artwork as a logo for all their vehicles and equipment. The new oil painting- “Firestorm 2018“, will be offered as a fine art print by the artist. The art print copy, from the original, will come in two formats. The image size offered will be 16 X 20 signed and numbered, on canvas $130, and on fine art paper at $80. Oil painter Patrick Michael Karnahan is known as America’s Wildland Firefighting Artist, having painting over fifty fire portraits dedicated to the men and women that put their lives on the line to protect us. The artist painted his first painting at age of eight. 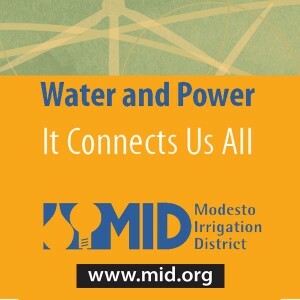 Throughout the years the artist’s main focus has been on Railroads, California landscapes, and Firefighters. To Karnahan, the Wildland Firefighter is a true hero of our modern culture that should be captured in art and culture, just like the way artists like Remington and Russell captured the American Cowboy in American History. According to the artist, to create the perfect subject matter of fire, you must first create drama by using bold colors, numerous light sources, and an amazing amount of depth perception, which must stand out on the canvas. You have to know your subject well to paint it, accordingly to Karnahan. He started out as a firefighter in 1978, fresh out of high school. 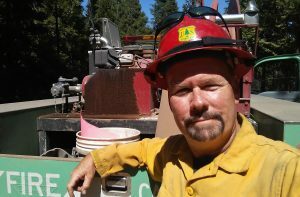 The artist has served as a firefighter in the United States Forest Service for a total of twenty-two seasons. In 1988 Karnahan was picked to create a series of artworks to encompass the story of the Stanislaus Complex fire. The artist art was seen on thousands of art posters that were sold to the public to raise funds for forest revalidation. Known now as American’s Wildland Firefighting Artist, Karnahan has won numerous art awards. One of the artist-featured works, “ 2013 Rim Fire (August Heroes), had been recently on display in Washington D.C. in the Office of the United States Forest Service. The painting had won first place award for Forestry Subject by the agency.